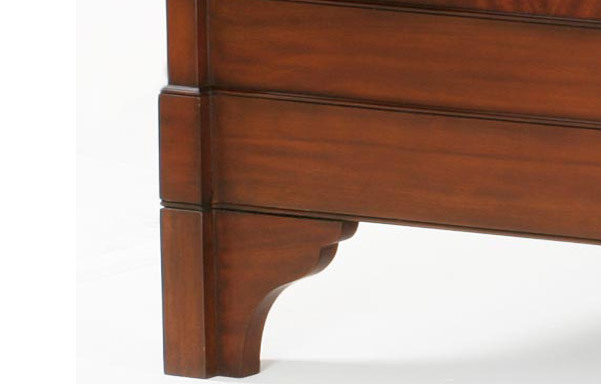 Our exclusive French sleigh bed in solid Mahogany with beautifully figured flame panels. 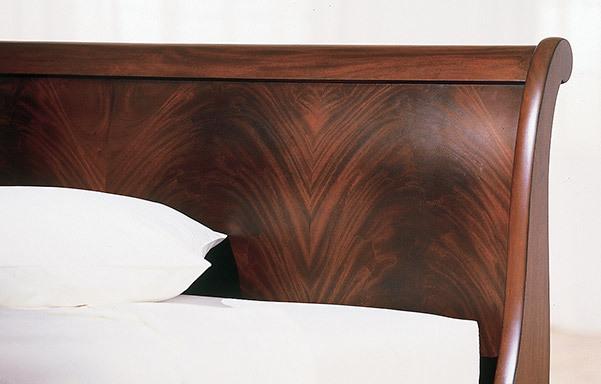 Flame veneers are carefully book matched for the most attractive transition of grain and color. 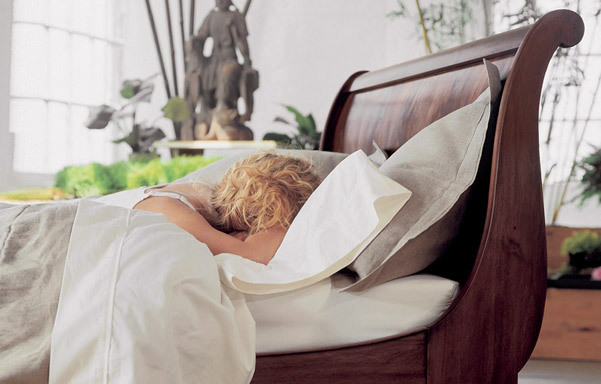 Each bed is truly unique, the product of unusual tree growth found in approximately one out of a thousand trees. 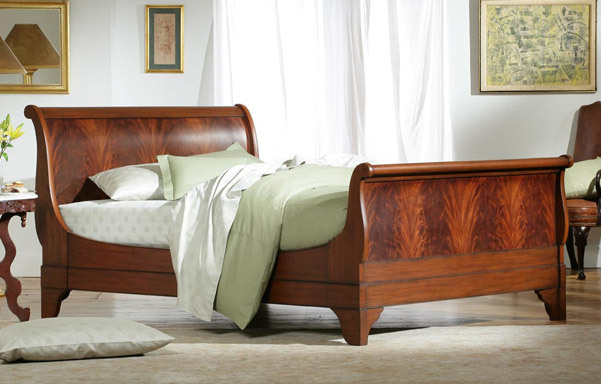 The hand-rubbed finish highlights the natural beauty and character of the wood grain.